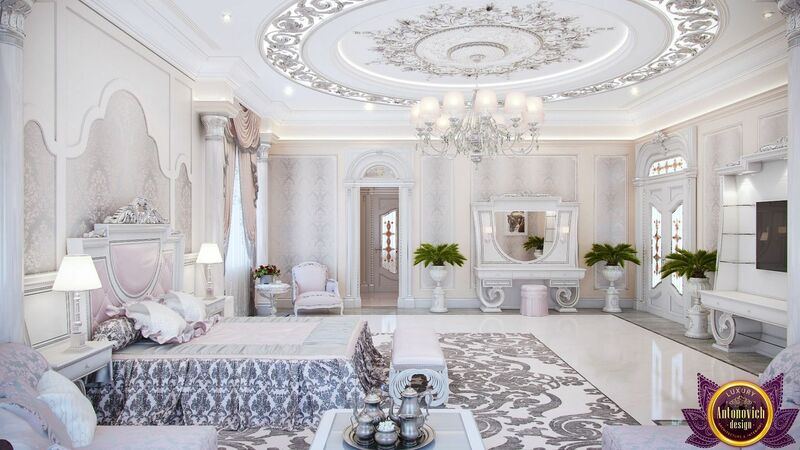 Luxury bedroom designs of Katrina Antonovich reflects the trends of modern technologies and new breath of classic style interiors. 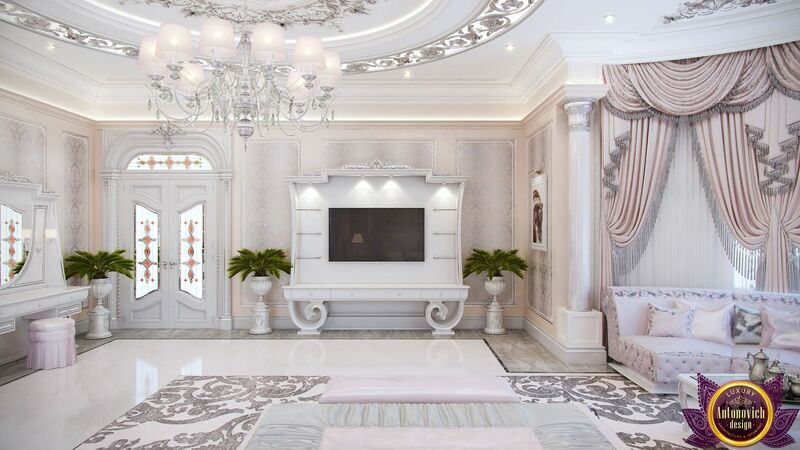 In this beautiful bedroom harmoniously and closely associated with the ceiling design, the design of the walls, windows and furniture of the bed and floor decoration. The stylish interior is refined and luxurious fabrics. The decoration of the windows of the boutique designers used luxurious silks, which are present in the decoration and a comfortable bed. The comfort and warmth of home comfort emphasized a large soft carpet. It is a beautiful architectural interior of the bedroom, which gives joy and pleasure for comfort and coziness.